Choose from our range of beautiful Ultraframe range of extensions to get the inspiration you need for your project. A lounge or dining area, a study or a play area - the possibilities are almost endless. Contact Novaseal today for advice and prices. Our Ultraframe range of extensions has been built with comfort in mind. Choose or add super-insulated columns to enjoy thermal efficiency levels five times higher than a brick pier of the same size. The super-insulated columns are internally plastered and work in perfect tandem with an insulated ceiling pelmet. Add spotlights and speakers around the perimeter to create a ‘real room’ feel. Ultraframe conservatory roof systems use glass to create a sense of space. Homeowners can add dimension to their extension in cases where space is limited or make the most of the room they have available if their construction is larger in scale. Because our extensions are compatible with a wide range of building styles, your design won’t be restricted. Victorian, Edwardian, P-shaped – and many other shapes – can be achieved to help you meet the specification of your project. An Ultraframe extension is built with planning and building regulation specifications in mind. Your design can exclude internal doors, giving you the freedom to create an open-plan kitchen that uses light to connect to a lounge or dining area. Find out about the benefits of choosing your Ultraframe extension from Novaseal by reading our online brochure. Whether you’re looking for impactful glass extension ideas or want to build a structure that combines light and solidity in equal measure, we’ll help you choose the right options. Novaseal has extensive experience of helping homeowners and installers in the South East areas with their extension requirements. Talk to our friendly and knowledgeable team today by calling us on 01329 233500 or using our contact form to send a message. Create a room built to your requirements by using more masonry and less glass or reverse the effect to achieve a stunning contemporary design. Our extensions give homeowners the freedom they need to create an individual style. You can also combine traditional and modern elements to create extensions that look unique. 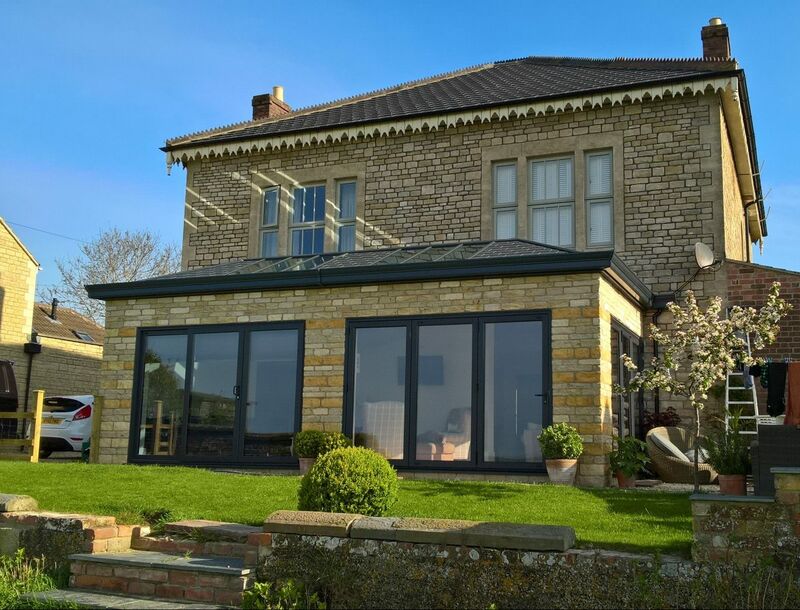 Ultraframe’s super-insulated columns can sit on top of a dwarf wall, for example, resulting in a thermally efficient design fused with classic looks. Three choices are available, each of which can be customised to create a room that looks and performs as you need it to. For further information about these market-leading products, call the Novaseal team today on 01329 889 116. This stunning entry in our portfolio uses the Classic Roof as the basis for its design. Performance glass installed in the roof delivers a bright and roomy environment below that can be completed using a range of market-leading enhancements. Similar to the Livinroof, in that it combines glass with a solid roof design, the Ultraroof gives homeowners complete control over where the light falls in their room Full-height glazing panels can be added or substituted with Velux windows. Build an extension that performs and looks how you need it to by talking to Novaseal’s experienced team today. You can contact us on 01329 233500 or send us a message if you’d like us to call you. You can get an online extensions quote within minutes using our design tool. You can get prices for doors and windows to complement your project too – so use our app as many times as you need to.